One story a day : Reliving childhood: Days and Nights with Frog and Toad! My favorite activity with my five year old is to read to him or have him read to me. I believe reading to one’s kids is as important an activity as taking them to a park. 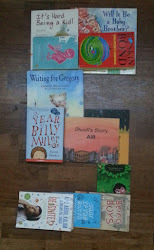 So whenever we get invited to a kid’s birthday party, guess what we gift the birthday boy or the girl – books of course! Similarly, when we visit a house with kids, we are probably the only guests who arrive with books instead of chocolates! So you can imagine my delight when we received books as parting gifts as when we bid goodbye to our friends in Portland. One such book we enjoy reading is the Arnold Lobel’s classic “The Adventures of Frog and Toad”! Many thanks to Keshav and Gauri and their mom for picking up such a wonderful gift for their friend Abhay! !